The Caribaea Initiative Research & Conservation Workshop is held every year in the insular Caribbean. 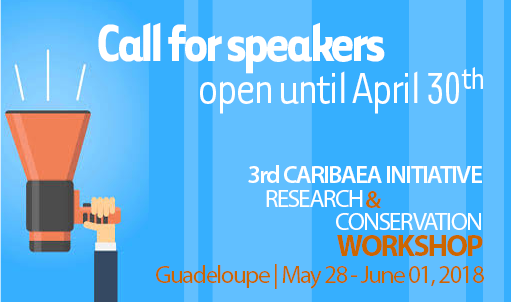 As a unique forum for sharing knowledge and research on the Caribbean fauna, it attracts a lively mix of conservation biologists and managers at all career stages, from the region and elsewhere around the globe, thus offering excellent networking opportunities. The 2018 ACIRCW is co-organized with the University of the French West Indies (Université des Antilles) and will take place May 28 – June 1 at La Créole Beach Hôtel, in Guadeloupe. The venue is conveniently located at the « Pointe de la Verdure », 15 km for the airport, and is surrounded by several hotels and restaurant offering a wide range of prices and services. Guadeloupe, known as the « Butterfly Island », on account of the shape of two of its major islands connected by a bridge over the Rivière Salée, is easily directly accessible by plane from major airports in the Caribbean, North America, Paris and Cayenne. The west of the island, known as « Basse-Terre », includes 42,000 acres of tropical forest and is home to the wonderful Parc National de la Guadeloupe, which is crowned by the spectacular La Soufrière volcano. On the other side, « Grande-Terre » offers beautiful beaches and plenty of activities. The program of the workshop will consist of a mixture of top-notch plenaries, open sessions and topical symposia covering all aspects of the study of the Caribbean fauna (including in particular taxonomy and systematics, behavioural ecology, evolutionary biology, biogeography, population genetics, demography, archaeozoology, parasitology and wildlife disease biology, conservation and management) presenting the latest research and conservation achievements. Following the inspiration provided by the Declaration of the Guadeloupe 2014 International Conference on Biodiversity and Climate Change, the 2018 edition will host two special symposia on « Potential effects of climate change on Caribbean biodiversity and ecosystems » and « Genetic diversity and differentiation patterns in the Caribbean fauna ». The first day will be a day of postgrad training session (including small grant writing, an introduction to model selection, and an informative talk on interspecific networks and biodiversity). – Prof. Anne Magurran, the University of St Andrews, U.K.
Young researchers and students are particularly encouraged to present their research through oral presentations and to develop contacts for future collaboration among themselves. Our expectation is that the pioneering ideas, leading theories, novel methodological approaches and recent ground-breaking results presented at this workshop will provide both advances in conservation-oriented research on the Caribbean fauna and guidelines for future developments. 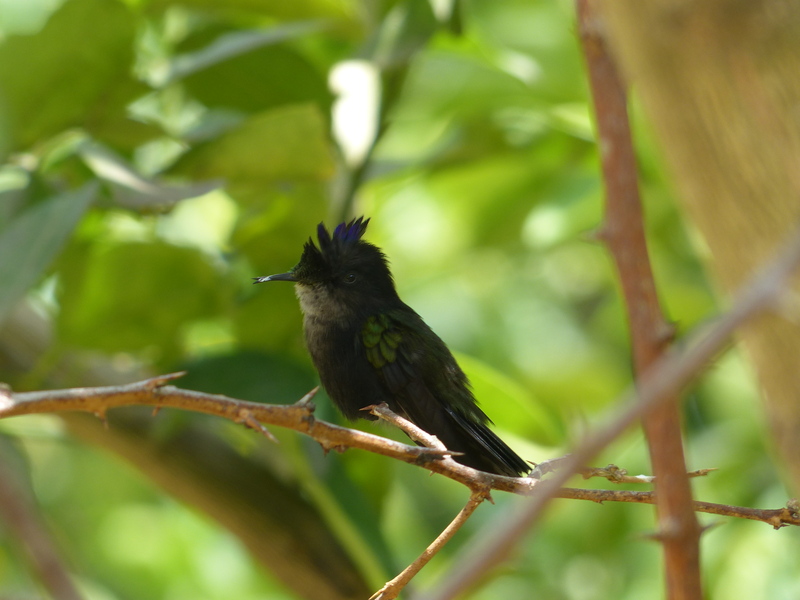 In addition, the interdisciplinary expertise of participants is expected to contribute to decision-making concerning effective conservation planning strategies in insular Caribbean ecosystems and protected areas.